Twenty years at one venue. 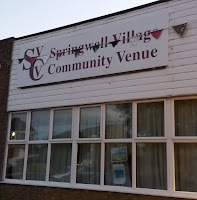 The principals - Dave and Mac Rae - have presented jazz in Springwell during good times and not so good times. Last night was one of the good times. A full house with extra seating requisitioned from an adjoining hall, the house band, led by Dave Rae, played not one, not two, but three sets, the latter featuring several guests 'sitting-in'. Down the years, Dave and Mac have kept the New Orleans' flag flying when others, elsewhere, raised the white flag against seemingly insurmountable odds. 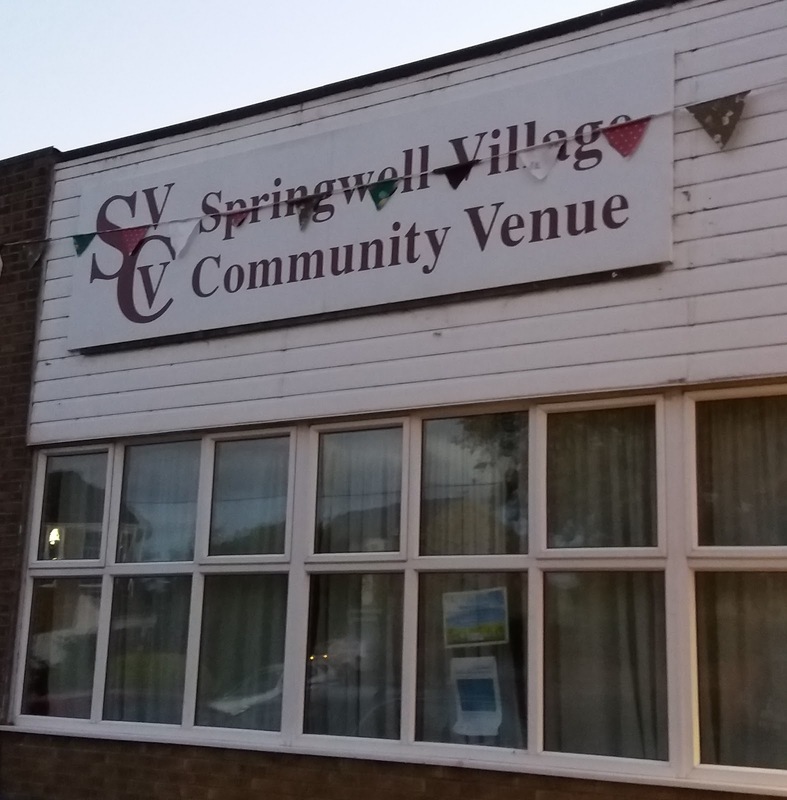 If you want to hear Crescent City jazz, spirituals and perhaps a blues, then Springwell Village Community Venue, Wednesdays, is the place to be. The Bacons - that's Liz (clarinet) and drummer Paul - are key members of the band, as is tailgater Jim Blenkin. Jazz and hymnals in the right hands make for a potent mix; Red Wing and Dr Jazz to Shine, We Shall Walk Through the Streets of the City and Just a Little While to Stay Here to a late night, nine-piece take on Just Over in the Glory Land, this Wednesday evening was a joy from beginning to end. Dave Rae led the ensemble, a classy banjo player, a fine vocalist, restraint the key, never one to hog the limelight. The band is all about the New Awlins' ensemble sound. 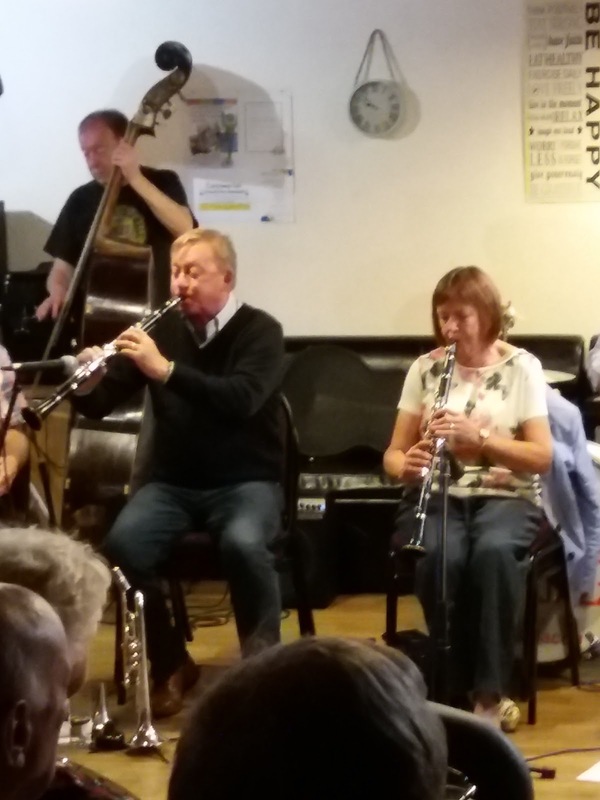 Clarinetist Bacon plays the melody as 'bone man Blenkin weaves in and out of the action, likewise bandleader Rae chips in with an occasional vocal. Paul Bacon's approach encapsulates the art of New Orleans' drumming, his style remarkably minimalist, many a drummer would do well to check out P. Bacon and his engine room buddy Mr. Imperturbable, aka string bass player John Robinson. The evening's guests didn't outstay their welcome. Mac Rae first sat-in on trumpet, grabbing a vocal, later to return on drums. Classic Swing's Bob Wade joined the party and those hearing the trumpeter for the first time were more than impressed. And to top it all Wade picked up his liquorice stick making it a two-clarinet frontline with Liz B on Creole Love Call - one of the highlights, no question about it. 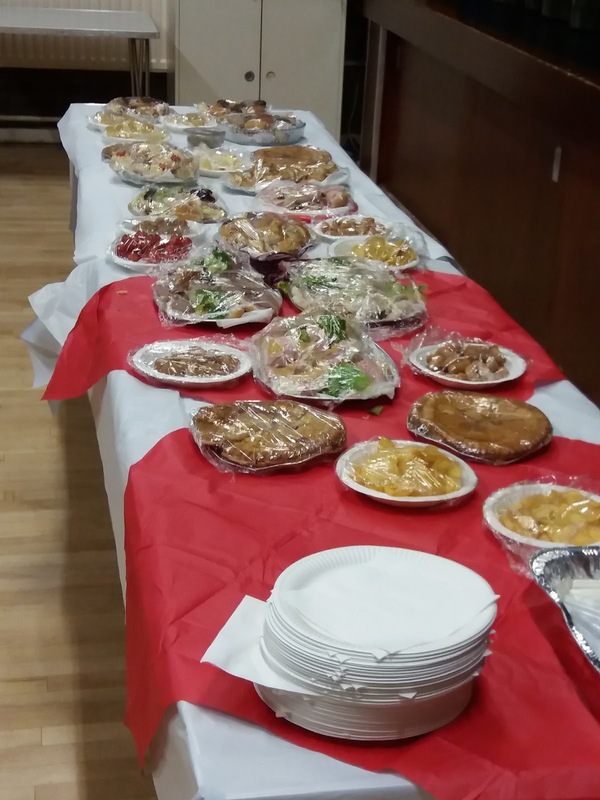 A mammoth buffet (see photo) and a multi-prize raffle occupied minds during the interval. Guests continued to arrive and it wasn't long before the second set, followed by a third, got underway. Pete Jezzard, founder member of the Stockton on Tees-based New Orleans Preservation Jazz Band, sat-in. The contrasting styles of Blenkin, Jezzard and the Maine Street Jazzmen's Herbie Hudson made for a fun-filled trombonium. Dave Rae switched to a back-seat guitar role upon the arrival of the Vieux Carré Jazzmen's Brian Bennett. Olive Rudd sang Baby Face, Mac Rae (definitely not a baby face!) sang The Alcoholic Blues - another of the evening's high points. 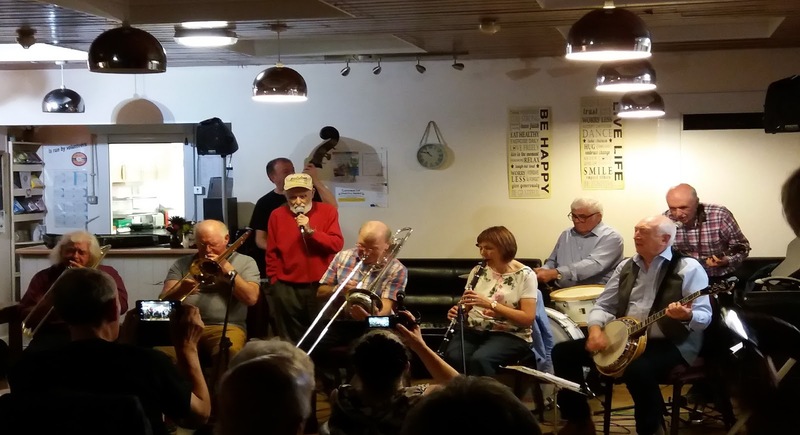 It's twenty years not out, the next twenty will fly by, jazz in Springwell is very much alive and kicking! Jazz at the Village Hall 20th Anniversary Band: Liz Bacon (clarinet); Jim Blenkin (trombone, vocals); Dave Rae (banjo, guitar, vocals); John Robinson (double bass); Paul Bacon (drums) + Mac Rae (trumpet, drums, vocals); Bob Wade (trumpet, clarinet); Herbie Hudson (trombone, harmonica); Olive Rudd (vocals); Brian Bennett (banjo); Pete Jezzard (trombone). Picture below is from Dave Rae. 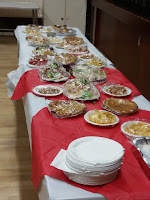 Russell, thank you very much for your lovely write-up about our 20-year celebration party at Springwell Village Hall. So many of the old band members no longer with us. Time has passed so quickly, it really is hard to believe!